Visitors will enjoy the quality and affordability of Melbourne Short Term Rentals properties. See TripAdvisor for extensive reviews of our properties. Meko is a lovely, contemporary house in an exceptional location for a visit to Melbourne. Nestled in a quiet leafy street, yet a short stroll to the adored Lygon Street Carlton, bursting with cosmopolitan cafes, restaurants, shops and cinemas. Very close to Melbourne University. Walk or take a short ride in a tram or bus to the city. PLEASE NOTE - STRICTLY NO PARTIES ARE ALLOWED AT MEKO. Please note additional details below. *** Instead of paying a bond, guests are welcome to provide details of a credit card to be held over the duration of their stay (only $1 taken to verify the card). Otherwise a $500 bond is payable. You are very welcome to enquire about 2 night bookings, but we cannot always accommodate short bookings. Strictly no parties, gatherings, or events,are allowed at the accommodation. Excessive noise in the immediate area of the accommodation including the street, garden and balconies will also not be tolerated. Violation of this rule will lead to your rental being terminated with no refund of fees. We hope you can understand the reasons for this. The survival of short term rentals as a viable accommodation option is dependent on visitors respecting the people living in the neighbouring properties. If Meko is not available,please check our sister accommodations, Fitzgeorge and Soho52 for the same quality and service. Arrangements went smoothly and the place was clean. Plenty kithchenware big screen TV and comfortable furniture. We stayed at Meko during our recent trip to Melbourne. 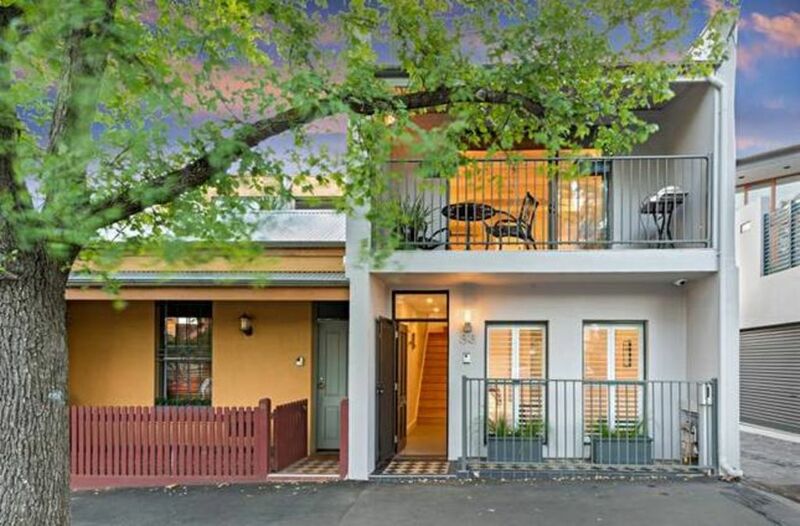 Situated just off Lygon Street in Carlton, it's a great location for access to the local bars, shops and restaurants and enables easy access to Melbourne as the tram stop is just around the corner. The house has everything you'll need for a perfect stay. Katrina was very helpful both during the booking process and when we were there. We'd definitely stay again. Perfect house for our family of four. Close to everything but quiet. Marimekko design tickled our Scandanavian roots! Thanks for your lovely review Jennifer and for looking after everything so well. Glad to hear you enjoyed everything so much. The facility was very nicely appointed with a very warm and comfortable feeling. We enjoyed hanging out and the convenience of the location. Great place we would stay here again. Perfect spot, close to transport, restaurants, cafes, the city, nice and quiet.